HARARE – Dendera musician Suluman Chimbetu has been afforded an opportunity to share the stage with veteran chimurenga muso Thomas “Mukanya” Mapfumo. The two musicians will perform together at a Valentine’s concert slated for Club Las Vegas on Friday which will be a farewell gig for the veteran musician. Mukanya has been in the country since December and has been staging shows around the country during his Peace Tour, during which he has been carrying upcoming musicians on board and this becomes a rare honour for Sulu and his band to perform with him. The musician’s return to the United States has been subject of talk of late with some reports saying he was supposed to leave today. With the latest gig on cards, Mukanya will be celebrating Valentine’s Day in his homeland and for him to perform at Las Vegas and as the club’s name suggests, will invoke memories of the US. Management at the venue said they are thrilled to be hosting an artiste of Mukanya’s stature and they are eager to give him a befitting send-off. “We are excited to be hosting Mukanya and we are ready to give him a befitting send-off commensurate with his stature. This is by public demand. Our patrons requested him here and we answered their call,” Club Las Vegas management said. Sulu’s camp is equally thrilled to share the stage with Mukanya whom they have described as an icon. 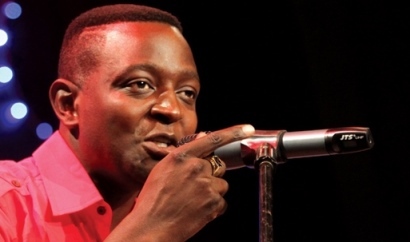 Club Las Vegas will next Sunday host sungura giant Alick Macheso for a family show.